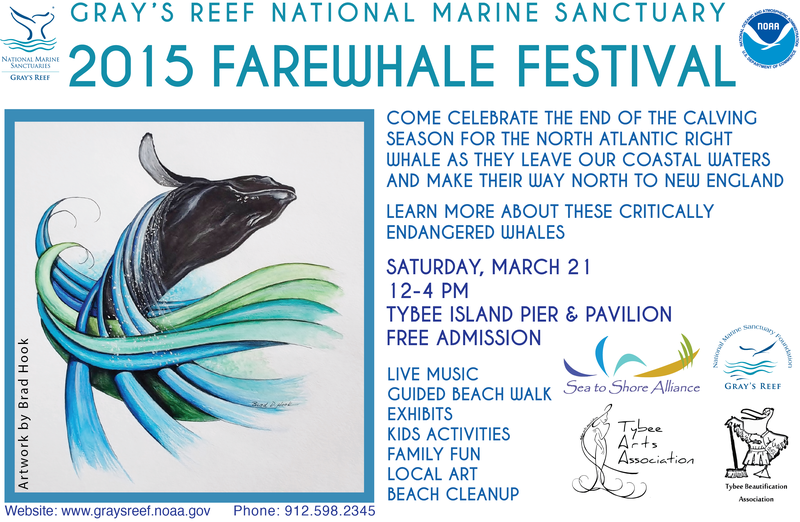 Gray’s Reef National Marine Sanctuary will present the second annual FareWhale Festival on Saturday, March 21, from noon to 4 p.m. at the Tybee Island Pier and Pavilion. 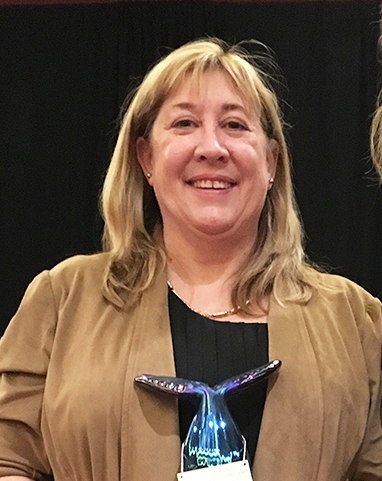 “We want people to come out and celebrate the end of the calving season for the critically endangered North Atlantic right whale as they leave our coastal waters and make their way north off the coast of New England near Stellwagen Bank National Marine Sanctuary,” said Gray’s Reef’s Abbigail Murphy. 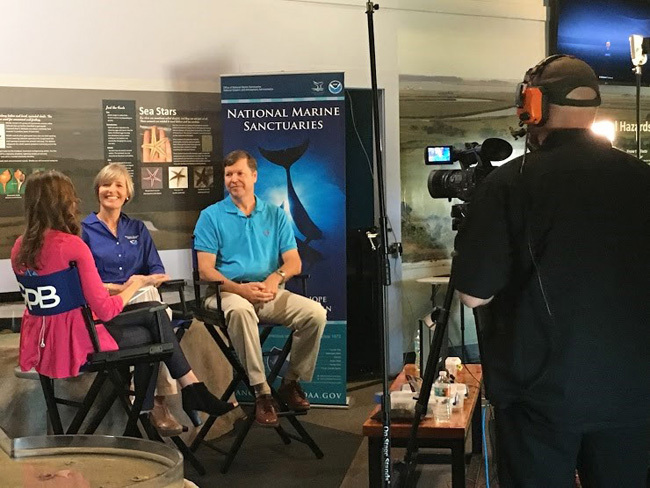 Visitors can experience the trials and tribulations these whales encounter in the right whale obstacle course; learn more about whales from experts and educators in the field; and enjoy live music and artwork from local artists. 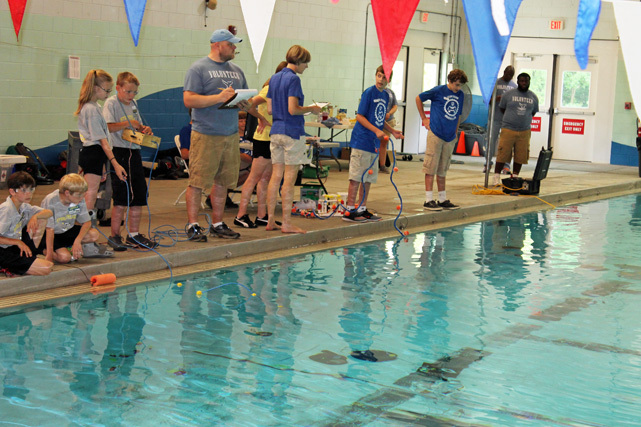 Other activities will include a guided beach walk on the shores of Tybee and a beach cleanup held from 10 a.m.-12 p.m. 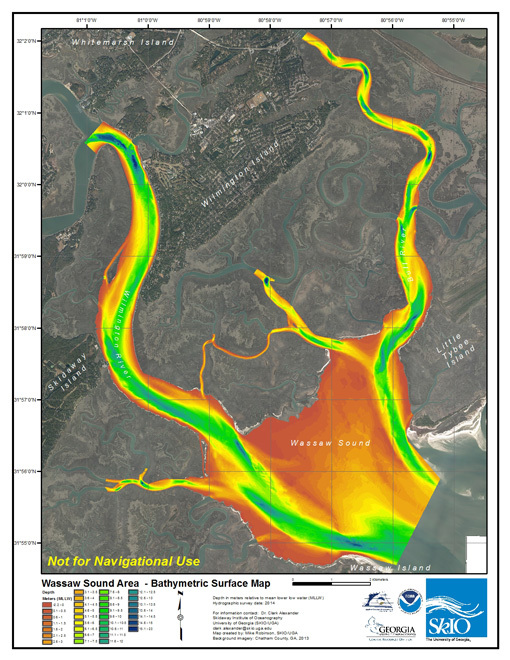 Led by UGA Skidaway Institute scientist Clark Alexander, the team produced a detailed picture of the bottom of Wassaw Sound, the Wilmington River and other connected waterways. The yearlong project was developed in conjunction with the Georgia Department of Natural Resources. 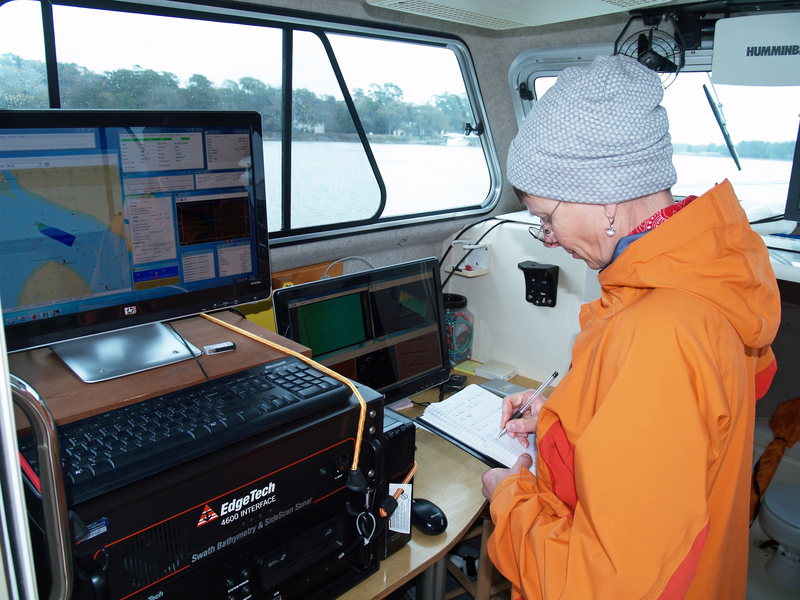 Skidaway Institute of Oceanography research coordinator Claudia Venherm logs survey activity on board the R/V Jack Blanton.